SAN PEDRO — Four tall ships — two from Washington state and two from Los Angeles — will stage an 19th century-style cannon battle off San Pedro, Dec. 26 and 29. Lady Washington, Hawaiian Chieftain, and the official tall ships of the city of Los Angeles, Irving Johnson and Exy Johnson, will board passengers and fire real cannons (but no cannon balls) in a mock sea skirmish reminiscent of the battles between Great Britain and France during the Napoleonic wars, more than 200 years ago. 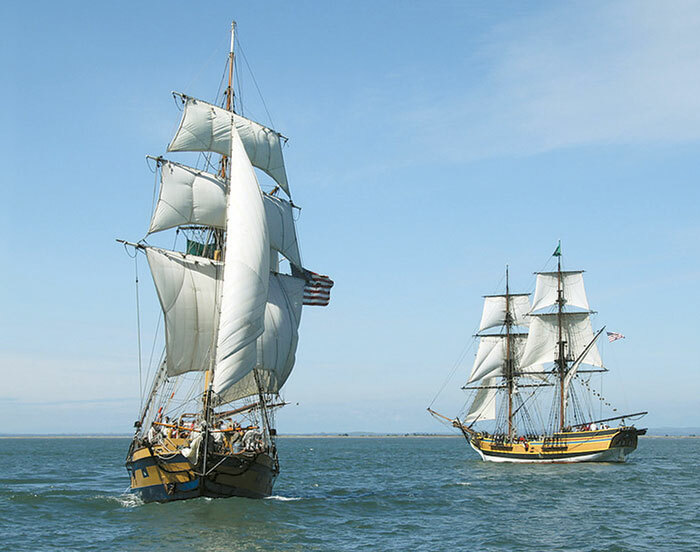 The two days of cannon fire between the four vessels is part of Lady Washington’s and Hawaiian Chieftain’s annual tour of California ports, delivering educational programs to young people and adults. Lady Washington arrived at San Pedro Dec. 13 and Hawaiian Chieftain will arrive Dec. 23. The battle is set to begin at 2 p.m. both days, with the Washington-based ships taking on Irving Johnson and Exy Johnson, brigantines owned and operated by the nonprofit Los Angeles Maritime Institute. The ships will meet outside the breakwater of San Pedro Harbor to battle for dominance of the high seas, maneuvering in ways similar to early 19th century British and French warships, and will fire cannons with real gunpowder. Guests are invited to help operate the ships, including raising the sails and steering the vessels. Tickets for the Battle Sails are $60 for adults; $50 for students, seniors and active military; and $40 for children 12 and younger. Participants can purchase tickets based on what side they want to be on: Tickets for Lady Washington and Hawaiian Chieftain can be obtained at historicalseaport.org or by calling (800) 200-5239. Tickets for Irving Johnson and Exy Johnson are available online at lamitopsail.org or by calling (310) 833-6055. Groups of eight or more automatically receive a 15 percent discount per ticket.